Ply-Split braiding dates back nearly 2500 years to the merchant men of Western India. Elaborate braiding of hand-spun wool was used to create harness straps and saddle girths for the camels that carried the wares of their community to the market centers. The most elaborate designs showed prominence in the market. Even today, camel harnesses are decorated with ply-split braids in elaborate patterns. Ply-split braiding is a hand-weaving technique, using simple tools. A Gripfid tool is used to push through the plies (splitting the plies) of a series of cords, to pull a single cord through the middle of the split plies of cord. When varied colors and fibers are used, different designs, patterns, and textures result in the final gift or neck ware item. We use various natural fibers to create the cords used in ply-split braiding. Bamboo makes a soft texture, while cotton makes a durable braid. The art of ply-split braiding has recently been introduced in the US by a few artisans who have learned the craft of ply-split braiding from the teachings of Peter Collingwood. He has studied the craft and has documented the techniques used by the men of Western India through a number of articles and books. TaleWeavers is one of only a few artisans in North America who have learned the craft of ply-split braiding and are creating gifts and neck ware using various fibers available today. 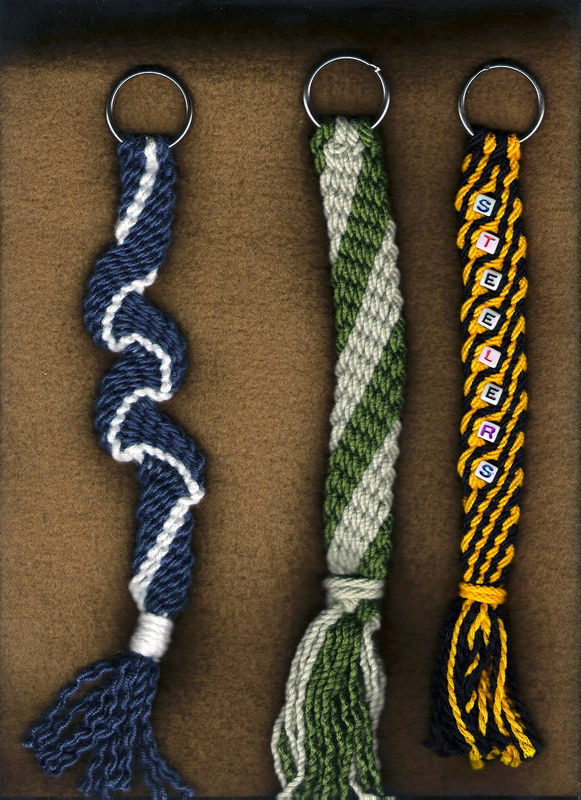 In each item we make, every cord is handmade, using selected colors and fiber types. The cords are then hand-braided to make each gift or neckware item.